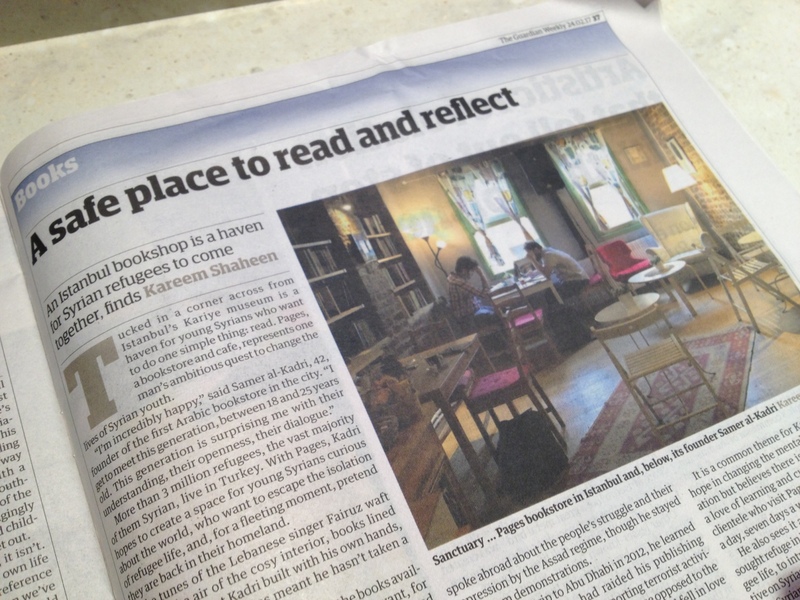 Imagine a bookstore as a sanctuary, a place of refuge to read, think, and reflect. The translated works of George Orwell are also popular, particularly Animal Farm and 1984, the dystopian fictional worlds of which bear a striking resemblance to [Syrian President] Assad’s police state. As I read this article, I thought about how easy it is for some of us to take for granted access to books. I’m especially spoiled in this regard. I live in Boston, which, despite the general demise of brick and mortar bookstores, continues to offer abundant choices for buying and borrowing books. But even beyond such overly bookish locales, good books can be readily obtained via bookstores, online booksellers, used book sales, and libraries. Those on limited budgets can put together a very respectable personal library if they have a sharp eye for bargains. It should humble the more fortunate among us that young refugees go to Pages bookstore in Istanbul in search of a safe and comforting place to read and learn. Let’s think about that the next time we’re tempted to watch a reality TV show or get caught up in a Tweet storm between politicians or celebrities. A bookstore, library, or simple shelf of books at home is a much better option for enriching our minds and souls.